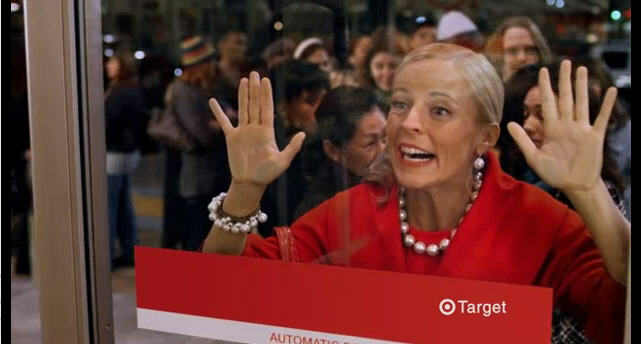 The gods have answered: Homewood’s new Target opens to the public today! Can you tell I’m thrilled? The official grand opening is this Sunday, March 10. While not a Super Target, the two-story store – located in Brookwood Village – will feature a Starbucks, Pizza Hut Express, Fresh Grocery, pharmacy and Target Mobile. *Now where are Trader Joe’s, H&M and Neiman Marcus? Headed there during lunch today! Cosign on the request for Trader Joe’s and H&M! I second the motion for Trader Joes(their 7-layer dip & 2-buck chuck are too good to not have here), H&M, and we need a Nordstrom’s–better customer service and selection then Belk or Saks.